It’s not hard to find a right prepaid wireless phone at a great price? The most important part is how to select the best prepaid cell phone plans available today. The basic rate plan from Net10 costs only 10 cents a minute. If you are only use a go phone as emergency phone this basic plan makes sense. However, as the minutes go up so does the total cost. $40 only buys you 400 minutes. That’s quite expensive compared to a $40 postpaid plan that offers unlimited nights and weekends. AT&T pre-paid plan also offer something similar. However, if you purchase more minutes at once you will get some discount – this general rule applies to most of the Go Phone carriers. You will find cheap Metro PCS cell phone plan that starts at just $40 that offers you unlimited local and nationwide calling days and nights. This is the best prepaid plan you can get for a flat fee. No matter which MetroPCS plan you are choosing you rest assured that all fees are already covered by the plan price, including tax and Federal communication fees. I had doubts on whether you should switch to Metro PCS before. But now that they offer more phone selection I can’t help but thinking to take advantage of the great plan price they current offer. $60 unlimited local and long distance calls, plus unlimited text and web. Sounds like a great deal, right? So, should I switch to Metro PCS? Well, you need to look further into the coverage and features you are going to get from Metro PCS. First and most important is the coverage. 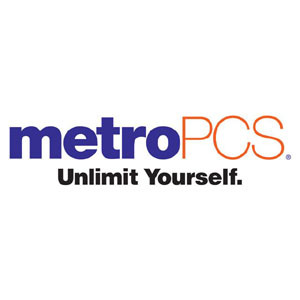 Are you current area covered by MetroPCS? Will you be using your phone locally? Although Metro PCS has been expanding aggressively, there are still many parts of the country don’t have coverage. That really makes a mobile phone not mobile at all. So, be sure to check the coverage map before switching to Metro PCS. Second, phone selections. There are less than 20 phones to choose from. And there are only 2 smartphones available – don’t remember seeing these models anywhere. If you want BlackBerry, forget it, none available. So, the choices are very limited. Third, phone prices. Although Metro PCS rate plans are cheaper than most of other major carriers, the phone prices are not. There are no free phones. And when it comes to phones with more advanced features, you would have to shell out over $200 even after rebates. So, should you switch to Metro PCS? I don’t think so.